Please welcome Marcy E. Cruice, HHC, “The Detoxitarian” and Licensed Desire Map Facilitator, for a Guest Post this week. At the core of everything we do and every decision we make is a desire. A desire to feel good, to feel happy. Likely, we are striving for something that we hope will give us that “good” feeling. But, let’s be real, good and happy are pretty vague. What does good feel like? What does happy feel like? We tend to seek out the things that we hope will make us feel good, it’s human nature. And, sometimes it works. But what about when it doesn’t? What if we could get really clear on the feelings we want most and start generating those feelings right now instead of waiting and hoping for them? This is exactly the conversation that Marcy E. Cruice, a Chicago-based, licensed Desire Map Facilitator is starting. 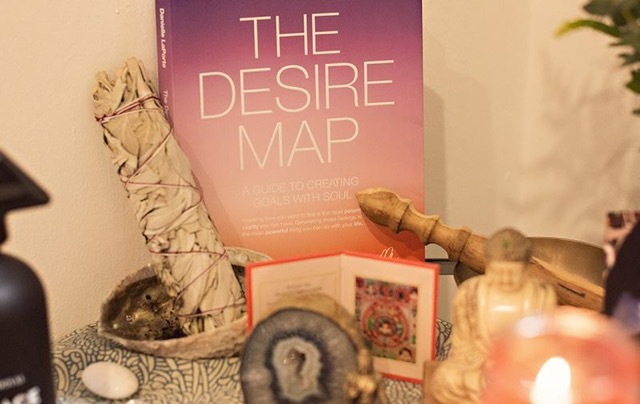 She attributes her recent personal and professional transformation to her discovery of The Desire Map and the uncovering of her core desired feelings. From accepting love to the birth of her online coaching program, THE DETOXITARIAN™, The Desire Map was a complete game-changer. It provided her with the clarity and insight to rearrange her perspective, her expectations, her decision-making process and her relationship with her feelings and she is excited and ready to share this experience with you so you can start to create a life that you love! 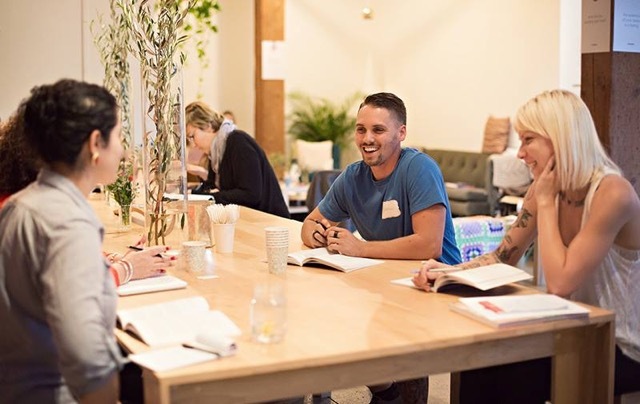 Beginning in January, Marcy will be hosting workshops and retreats based on The Desire Map by Danielle LaPorte that will guide you through the process of getting clear about how you want to feel: in your work, your relationships, your home, in your body. By exploring the five major areas of your life, you will be given the opportunity to examine how you are currently feeling and how you want to feel. You will uncover your core desired feelings, the feelings you most want to feel. You will: be supported and provide support, connect with a new tribe of like-minded men and women, experience an indescribable energy and accountability, play with words, create, expand. If there is anyone capable of guiding you through this transformation, it’s Marcy. She is inspiring, passionate, fun to be around and maintains an incredible balance between emotion and logic. 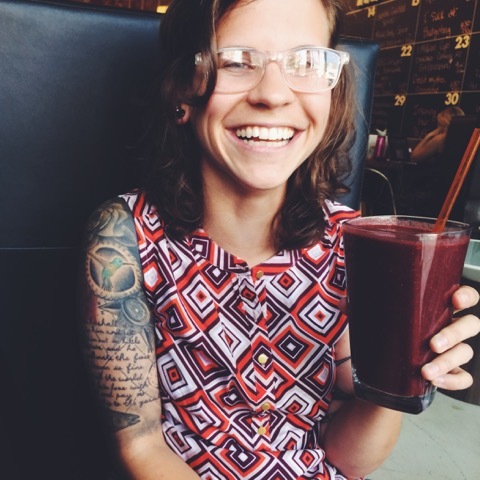 She is from Logan Square and works independently as a health and lifestyle coach. 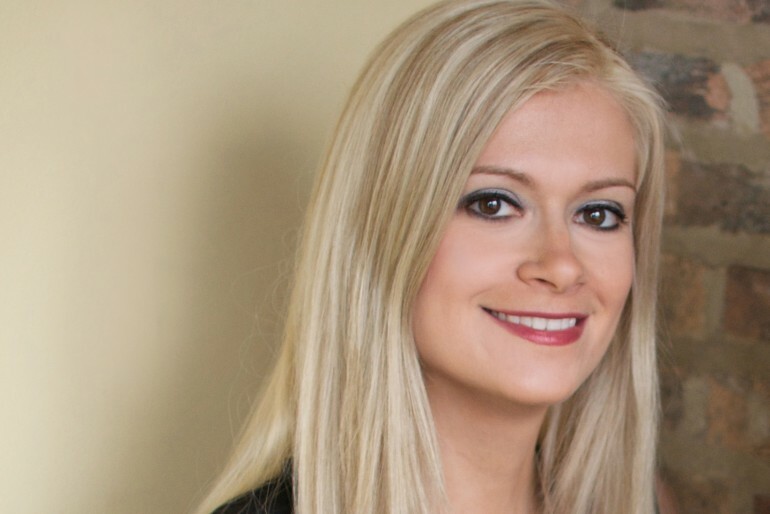 She is passionate about living deliberately and works with her clients to assess their health and lifestyle goals, remove the blocks and to commit to progress. Through her unique and self-created approach, Marcy has led her clients to lose weight, increase energy, kick nasty illness, transform relationships and careers, discover clarity, learn how to grocery shop and meal plan, ask the tough questions, identify and eliminate food allergies, remove toxins and decrease cancer risk. She hosts workshops and events; provides corporate wellness and business consulting; leads grocery shopping tours; speaks; runs online programs and books clubs, and more! 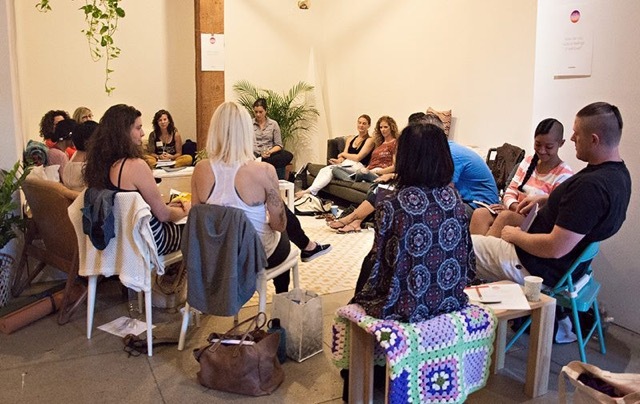 As an extension of THE DETOXITARIAN™, she recently became licensed as one of the first Desire Map facilitators because “the clarity that desire mapping uncovers almost immediately removes a set of mental toxins that undoubtedly are causing us stress and holding us back.” She will be the first to host these exclusive workshops in Chicago! Winter Desire Map workshops take place on January 17-18 and February 7-8. Sign up before the spots are filled! To learn more, visit marcyecruice.com. Be sure to connect with her on Facebook, Twitter and Instagram and sign up for updates and announcements and random doses of desire. If you love food, live to eat and seek out every gourmet experience you can find, prepare to be delighted by the upcoming launch of Chicago’s very own museum dedicated to food, the Foodseum. You’ll be immersed in the history and culture that make up the food we eat each day (and even some foods you’ve never tried). While the physical space isn’t slated to open until 2018, the organization is raising funds through Kickstarter to set up a series of pop-up exhibits to keep us satisfied until the opening. Inspired by a childhood of living abroad and traveling across Europe, Executive Director Kyle Joseph founded the idea for Foodseum. 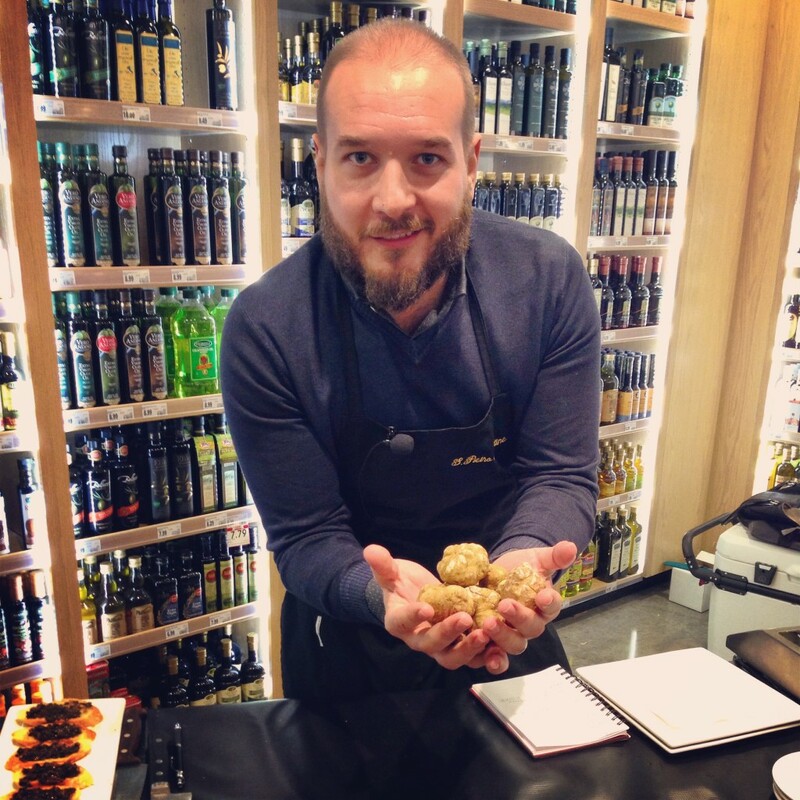 “I had the opportunity to dive into many cultures – I met people in each culture who shared themselves through food,” says Kyle. While many countries across the world form identities, cultures and day-to-day interactions centered on food, in the United States there isn’t as thorough an understanding of where our food comes from. To fill this gap, Foodseum aims to reconnect people to where their food comes from – in a fun environment. Everything from advertising techniques to the farm-to-table journey will be explored in Foodseum’s exhibits. Kyle explains, “The goal is to engage all five senses – you’ll be able to smell, touch and even taste in the museum,” which is planned to include demonstrations and restaurant service. Expect to learn more about chocolate, cheese, coffee and so many more of the items we savor each day. You’ll be exposed to foods you may have never heard of, as well. Kyle smartly considers Chicago the food capital of the United States. He and his team have experienced a big welcome in a culture where many agree. Because Chicago is such a great city for tourism and museum visitors, it’s the right place to build the Foodseum. Partnerships with other museums, culinary schools, architecture firms and chefs have offered ideas on how to make this the best experience possible. Several well-known chefs in Chicago have been invited to make up the Culinary Advisory Board, which includes curating recipes to share with the museum’s visitors. Showing the connection between established local food culture and the new museum will make Foodseum a mainstay in the city’s cultural and culinary world. 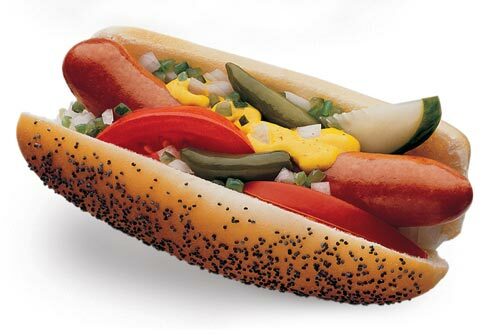 To satiate the palates of intrigued Chicagoans, Foodseum is working toward a pop-up exhibit featuring our classic fare, hot dogs and encased meats. To make this possible, they’re running a Kickstarter campaign – consider contributing this week as it’s only open until December 25. 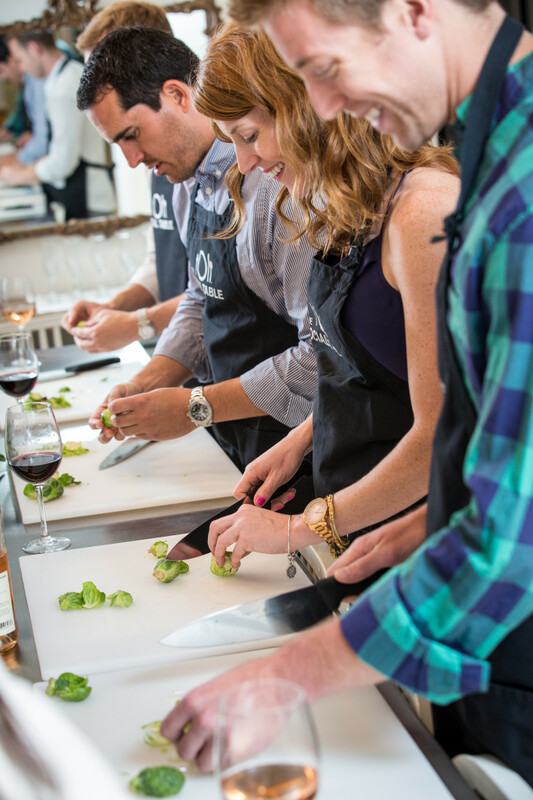 Contributors toward the goal of $30,000 will receive special rewards, ranging from an annual membership to the Foodseum to your very own “Foodcation” experience – a weekend full of foodie surprises with local celebrities and chefs. “Everyone’s help will make this a reality,” explains Kyle, who is enthusiastic about sharing his passion with Chicago’s residents and visitors. Contribute to the fundraising campaign today and stay tuned for more on upcoming exhibits and the official Foodseum opening. 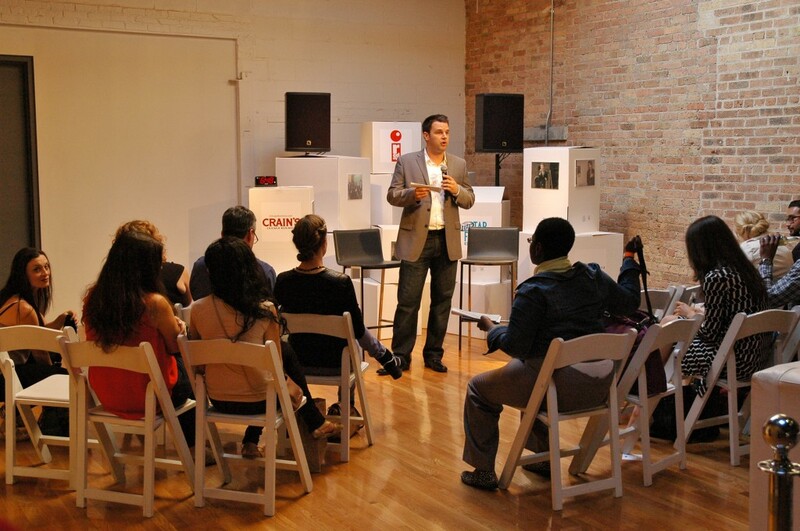 In Chicago we always have an appetite for new innovative, collaborative and active spaces. Imagine a venue where you can work out, grab a healthy meal, get your work done and satisfy your need for a dance party. After wild success in New York and Boston, Brooklyn Boulders is opening a Chicago facility in the West Loop (100 S. Morgan St.) at the end of this year (slated for December). The rock climbing facility and coworking space inhabits 25,000 square feet within one of Chicago’s favorite dining and socializing neighborhoods. 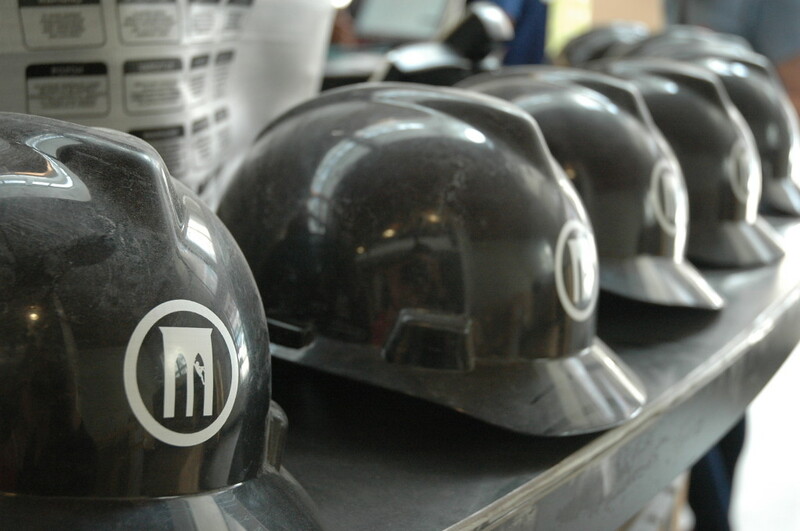 The Chicago Lifestyle had the opportunity to get a sneak peek at the facility, still under construction, in an official “hard hat tour.” We’re bringing you the details of this new spot before doors open to the public. 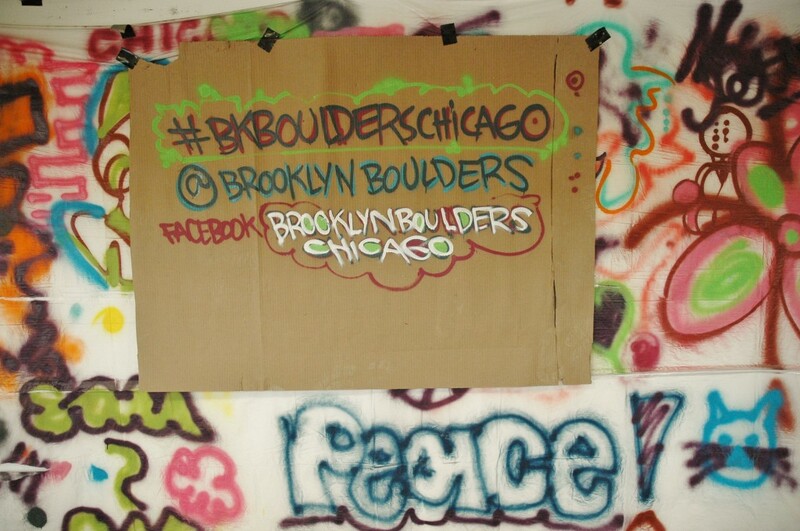 While rock climbing is the core of the business, Brooklyn Boulders was eager to learn about the Chicago neighborhood and see what type of offerings would be the best fit. Tailoring to entrepreneurs, students, techies, and athletes alike, the facility is designed to connect people and bring them together with a buzz of energy. 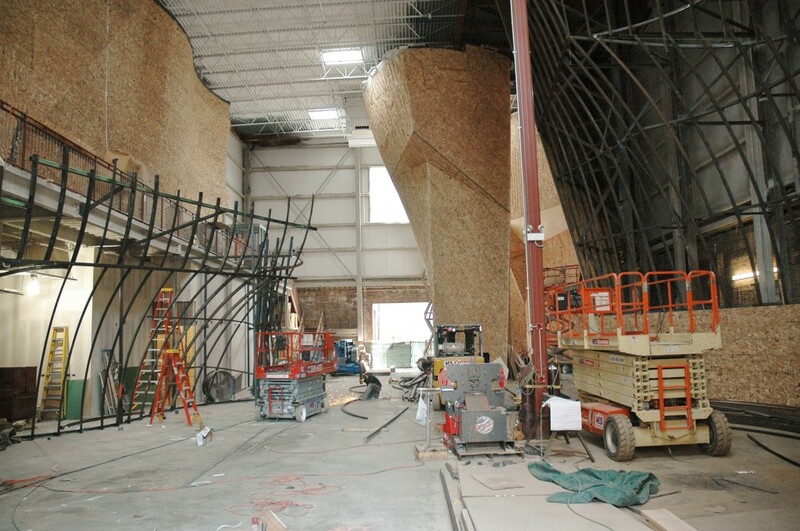 Stepping into the main entrance, a bouldering wall is the centerpiece. Climbing this wall does not involve the use of ropes, but safety is first and foremost. 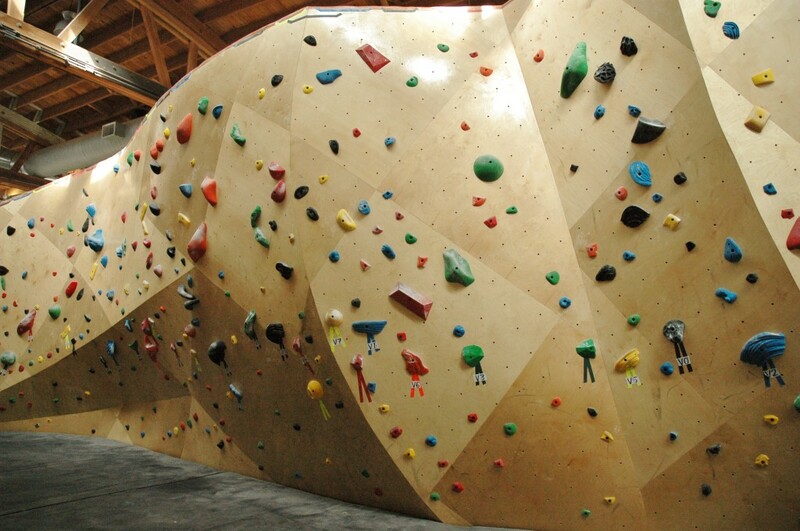 The shortest of the climbing walls, the bouldering wall is designed for all skill levels and markers on the wall indicate which steps to take based on your skill level. Toward the back of the facility is a taller wall and party room, designed specifically for groups and parties. A small café will offer quick, healthy options, bringing a simple dining spot for anyone who wants to pop in. 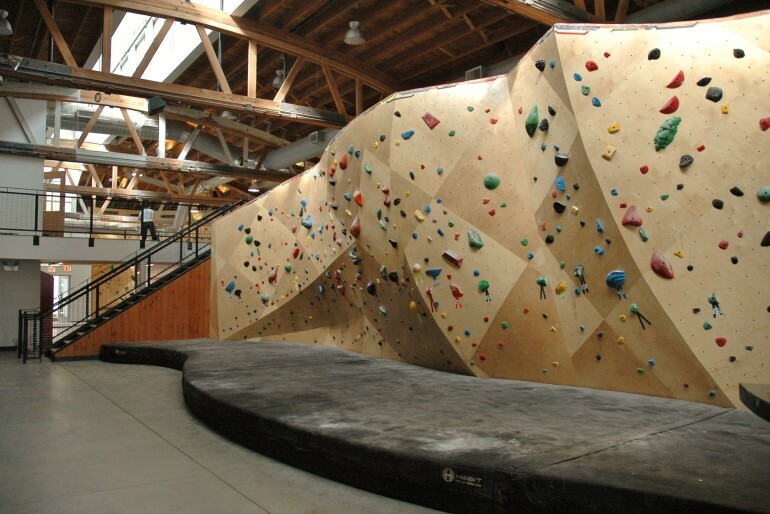 Formulated with an urban aesthetic, Brooklyn Boulders Chicago will feature artwork from local artists, music to set a creative mood and climbing walls lined with Baltic birch wood to provide a smoother, sleeker climb. A second level offers space for a multitude of workouts ranging from treadmills, yoga and other fitness classes. A partnership with the Spartan Race spurred an obstacle course training class. This level also features the “Active Collaborative Workspace” – set up with built-in desks, a lounge area and free wifi, it’s a terrific spot to bring your homework or office work. What’s most unique about the Active Collaborative Workspace are the chin-up bar and exercise balls to sit on, encouraging frequent movement and breaks in between study time. The stunning south room extends up to a 50 foot ceiling and is covered in rock climbing surfaces. Designed for rappelling and belaying, the more adventurous climbers will be in heaven. A DJ-fueled soundtrack makes this expansive room the perfect place to host large parties and events. For those not climbing or climbers taking a rest, the middle of the room will be lined with couches and casual lounge space. Partnerships with over 20 Chicago food trucks will bring a party to the back parking lot in the summer months, where guests can chill at picnic tables and enjoy a bite to eat. New to climbing? 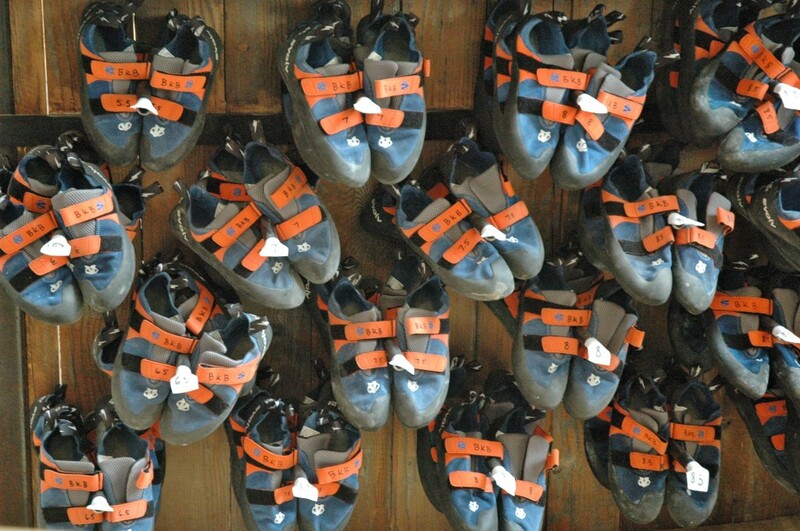 Brooklyn Boulders Chicago offers “Learn the Ropes” courses for both members and drop-ins. Instructors are always on hand to supervise and answer questions. Memberships are already available for purchase here. Upon “soft launch” in the fall, the facility will be open for limited hours. Once fully operational, it will be open from 6:30 – 9:30 a.m. for fitness classes, and 10 a.m. – midnight for climbing and all the other offerings. Stay tuned as Chicago opens this new space that will stoke your creativity, inspiration, and physical abilities. 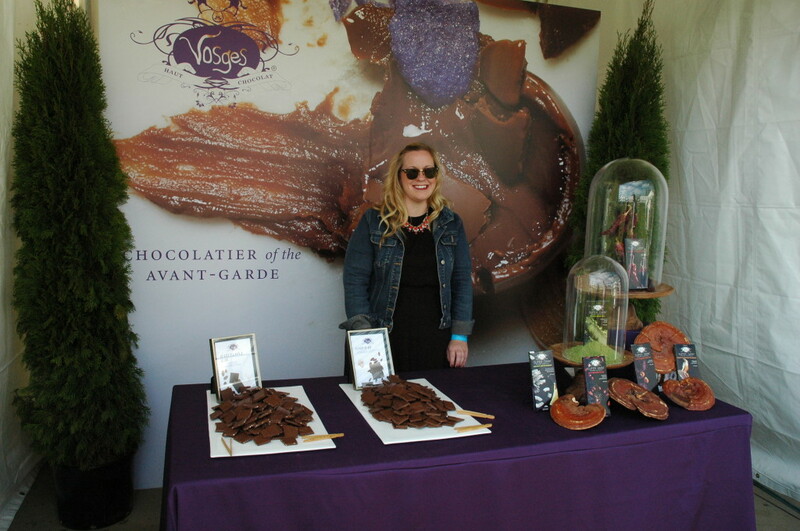 Perfect sunny weather set the tone for celebration and indulgence at the 7th annual Chicago Gourmet, presented by Bon Appétit. 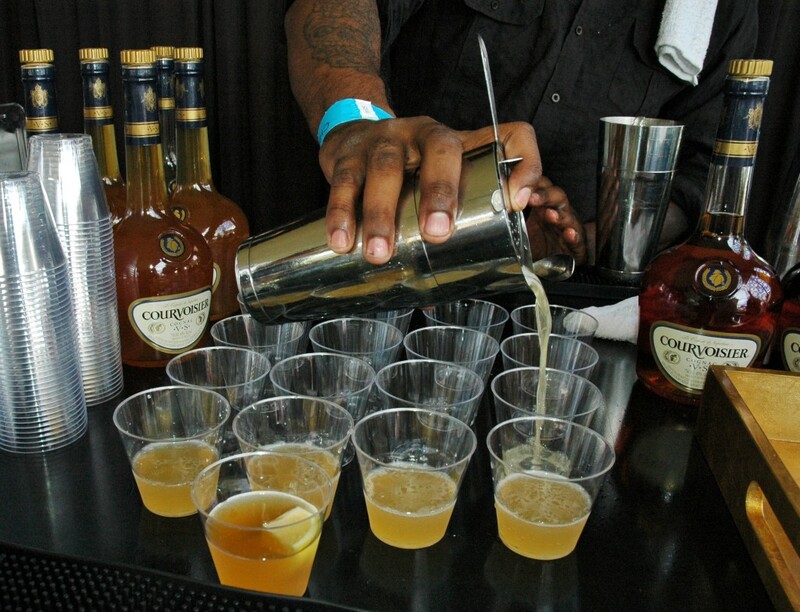 Set on the stunning backdrop of Millennium Park and the Pritzker Pavilion, the festival brings together lovers of food, wine, beer and more for two days of incredible tastings. The event was preceded by Friday’s Hamburger Hop kickoff as well as several themed dinners around the city in the months prior, all in anticipation of one of Chicago’s best events of the year. 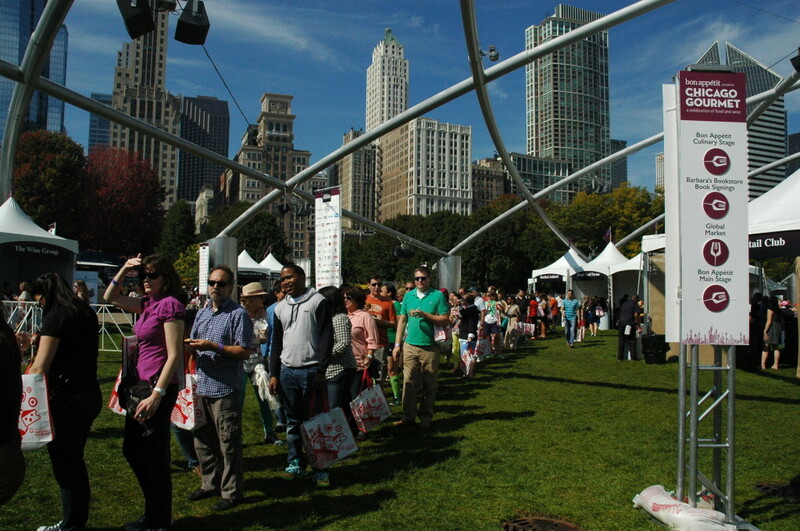 When Chicago Gourmet finally arrives, it feels like Christmas morning – bubbling anticipation for what’s to come. 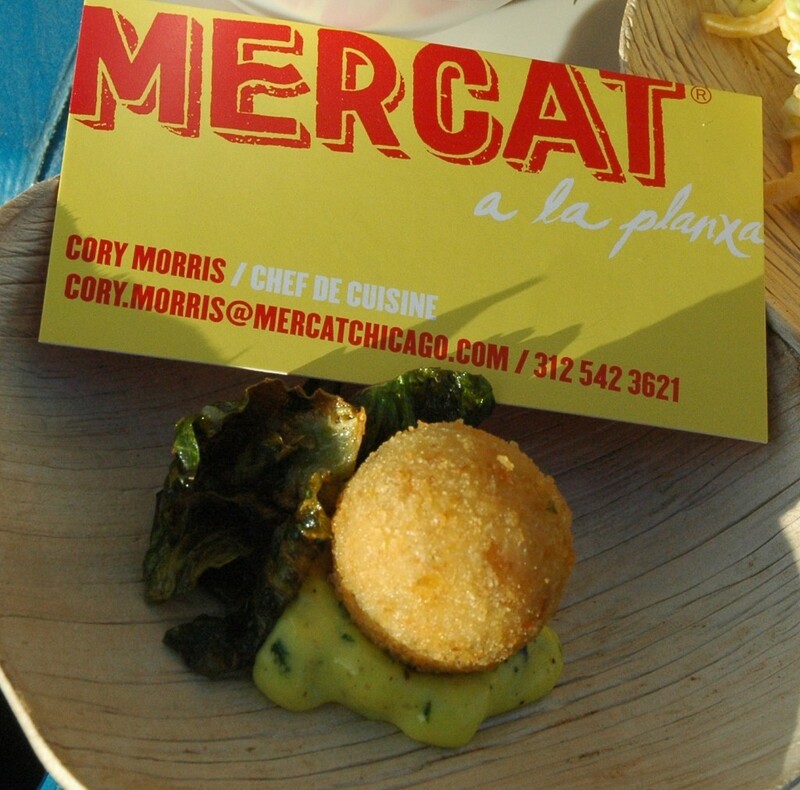 You prepare yourself for a day out in the sunshine meeting, greeting and eating around the Chicago culinary scene. It’s important to remember that Chicago Gourmet is a marathon, not a sprint, when it comes to taste testing the best the chefs have to offer. 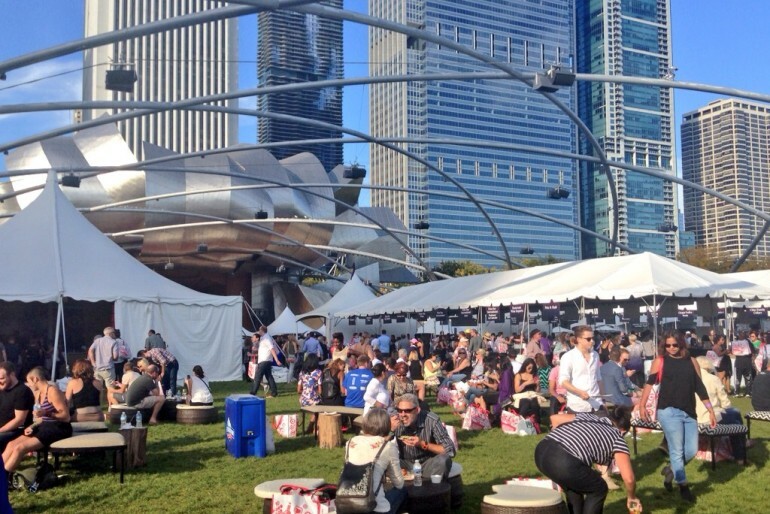 Dozens of white tents around the perimeter of Millennium Park serve tasting portions of unique dishes the chefs designed just for the event, while tents in the middle of the park offer samplings of wine and spirits from around the world. While the lines grow as the popularity of each tasting tent is discovered, life isn’t so bad milling around in the sunshine waiting to be served an incredible mini-meal. 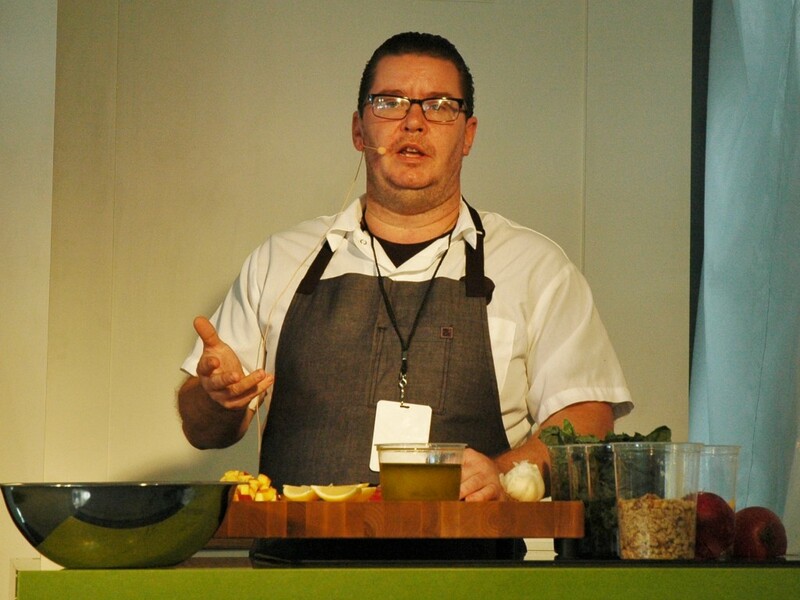 Surrounding the food and drink tents are several stages that host chef demos, seminars, book tastings and more. 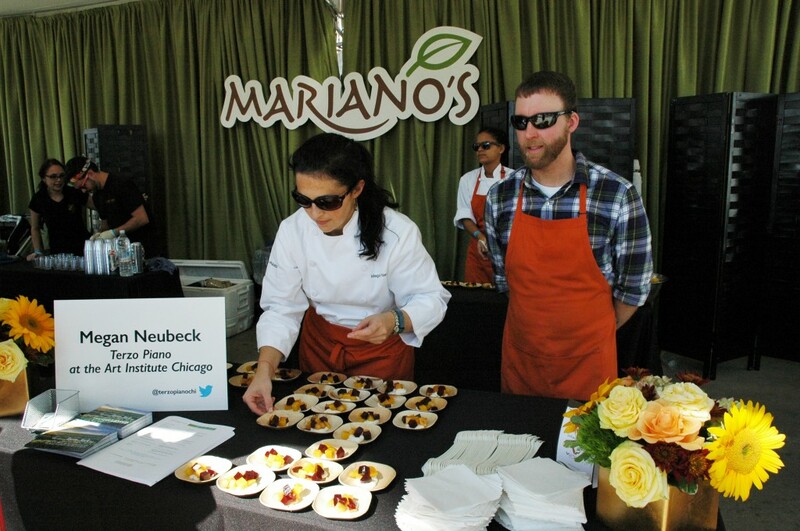 Seeing your favorite chefs in action brings to life dining experiences you’ve had at many of their restaurants. 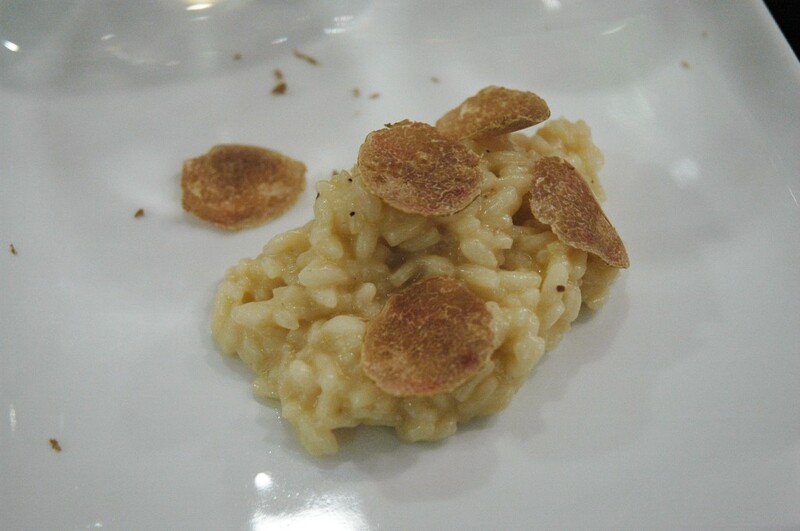 The demos brought out personalities previously hidden behind kitchen doors or on the covers of cook books. On Sunday, Chef Tim Graham of Travelle and Chef Jared Wentworth of Longman & Eagle, Dusek’s and Punch House teamed up for a presentation of the “Magic Beast” – specially sourced pork that was seared on a pan and served with a simply dressed kale and stone fruit salad. Amidst the jokes were a few lessons for home cooks – make friends with your butcher, brine your meat ahead of cooking and coat your salad with oil before the vinegar to prevent wilted leaves. 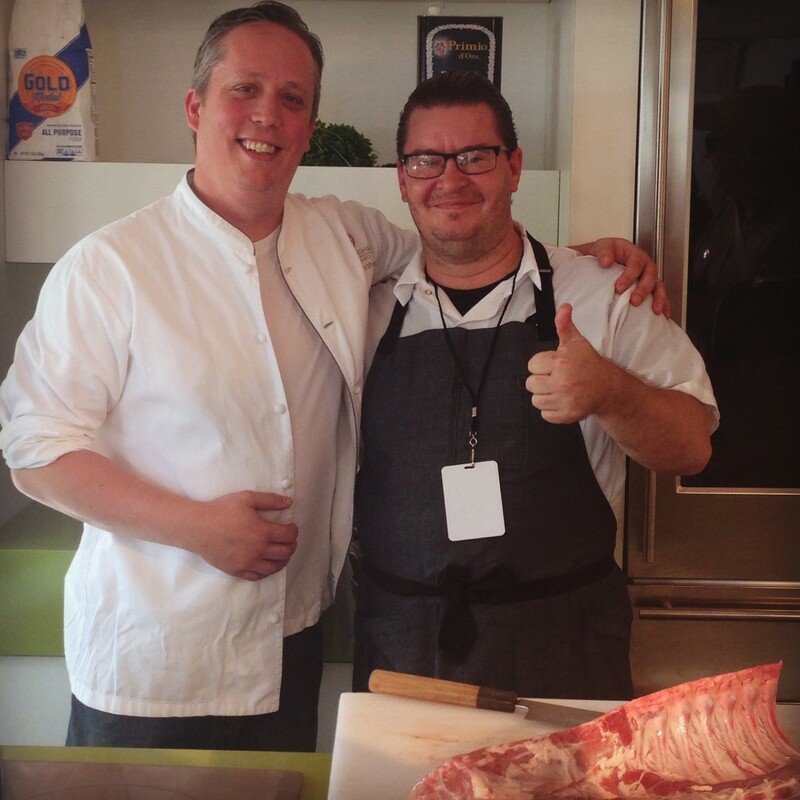 Chef Graham Elliot was equally entertaining as he reinforced his Chicago heritage in “Chicago Classic – Sweet Home 2.0.” Working with his Sous Chef Vinny, the two created a prosciutto-wrapped pork loin and a cauliflower giardiniera. 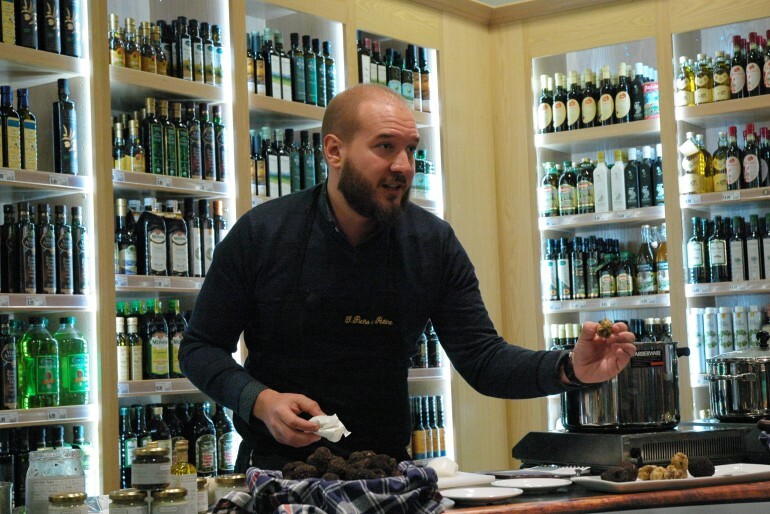 “A good cook can go back in time,” Chef Elliot proclaimed as he explained that cooking popular dishes from other eras can transport you to a different time and place. 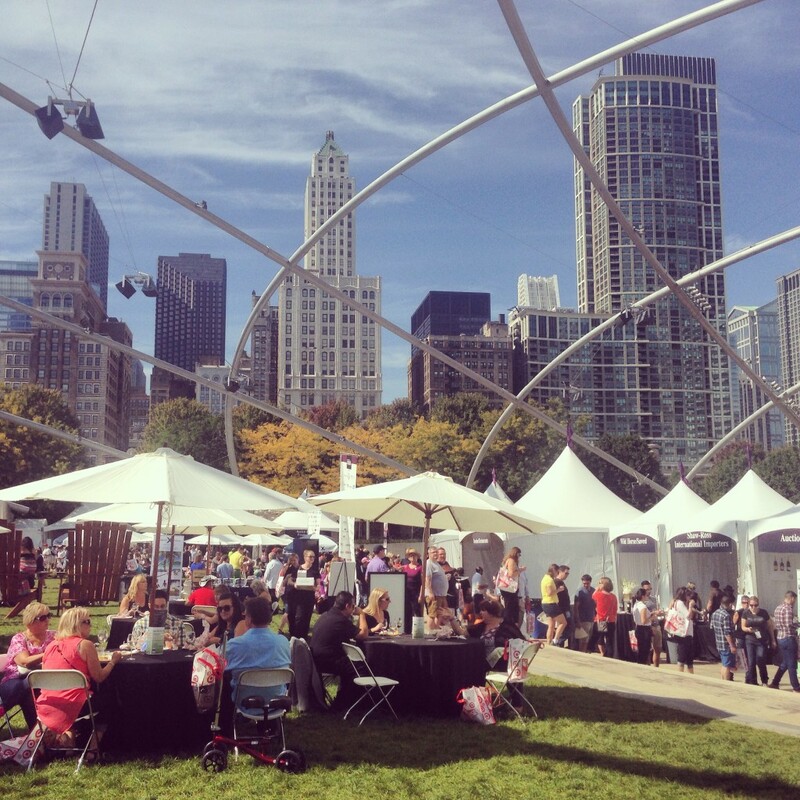 While Chicago Gourmet is an unforgettable experience that brings together the best of the best, the Chicago culinary scene goes year round. Along with the best tastings offered at Sunday’s event, you’ll find comparable menu items offered by the same chefs at their Chicago restaurants. Enjoy what these incredible chefs have to offer year-round. 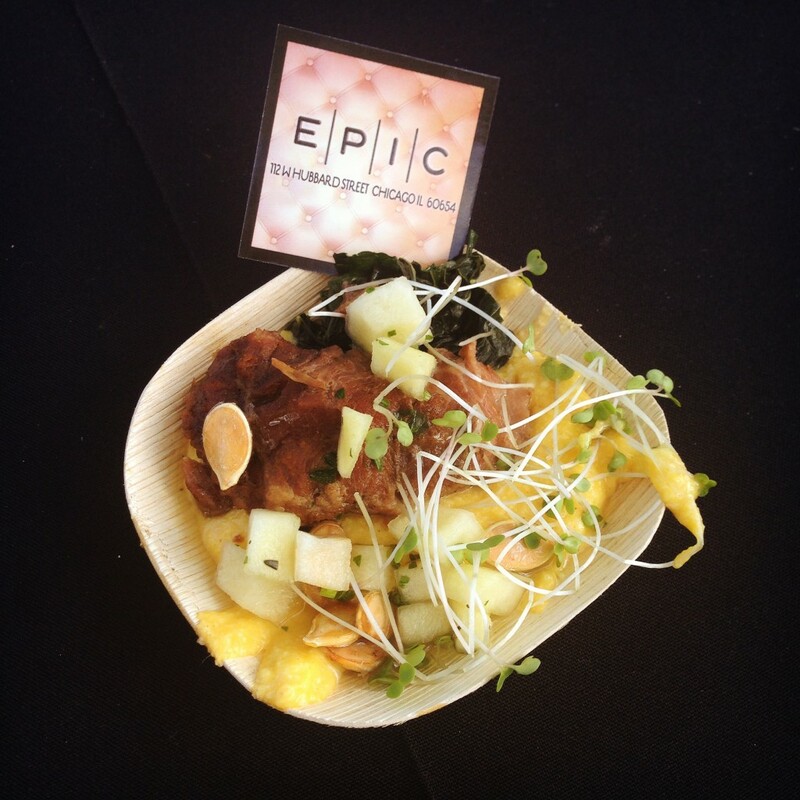 When 2015 comes up, watch out for Chicago Gourmet ticket sales – they sell out and this is an event you do not want to miss! 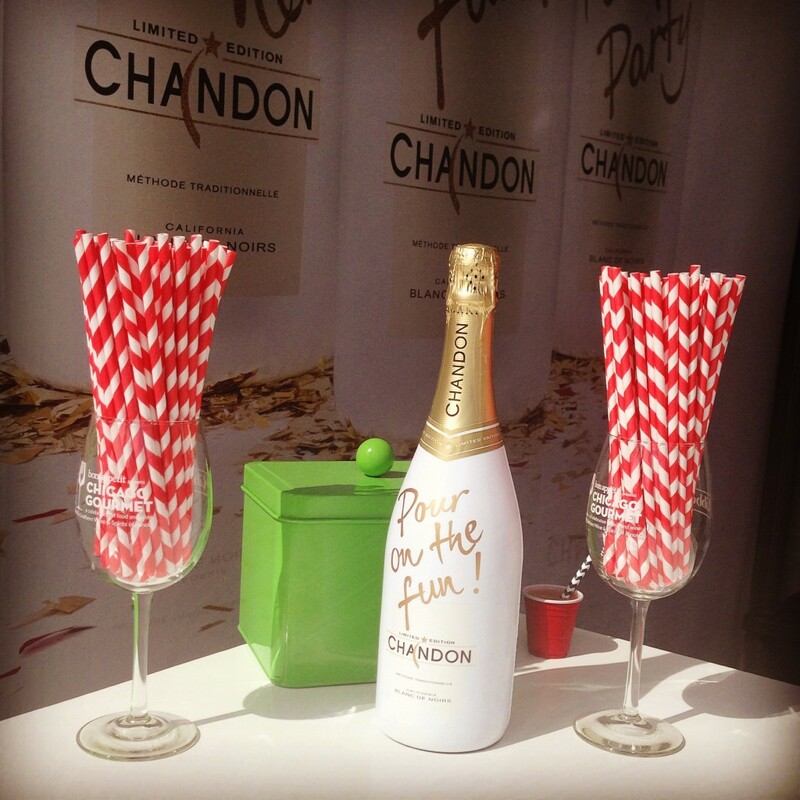 The Chicago Lifestyle was invited to attend Chicago Gourmet with a media pass. All content, images and opinions are from The Chicago Lifestyle. After many months of spiking curiosity through a sign in the window of their Armitage storefront, The Social Table has finally opened. Situated in a little yellow house just west of Halsted (819 W. Armitage), the Chicago location brings the foodie concept to our city. Originally in New York City, Rebecca has moved the business to Chicago. Officially open as of early September, The Social Table is a place to learn, cook, dine and meet new people. Part 2 in our social dining feature on The Chicago Lifestyle takes a deeper look at The Social Table. This feature tests out the premise that social dining, or gathering a group of people who may have never met before over a delicious meal and drinks, is the new, popular way to expand your social circle. Owned and hosted by Chef Rebecca Goldfarb, the welcoming venue beckons in guests looking for an entertaining evening. The core focus is on turning a cooking class into a full-scale BYOB dinner party. 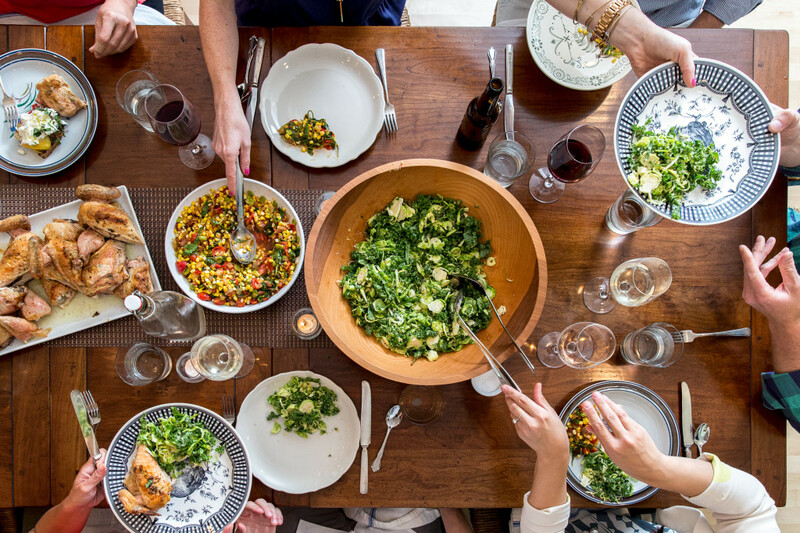 Join a public party to meet other like-minded foodies or invite your favorite people to take part in a guided evening of prepping, cooking, wining and dining. Fall menus include items such as Tuscan-style Lasagna with Pork, Veal Ragu and Bechamel, Spinach and Ricotta Spanikopitas, Goat Cheese Mashed Potatoes with Crispy Shallots and Raspberry Bread Pudding with Cinnamon Whipped Cream. If that sampling piqued your interest there are many more delicious courses planned – view their current menus here. To get more of the inside scoop The Chicago Lifestyle asked Chef Rebecca to dish on her inspiration behind The Social Table. 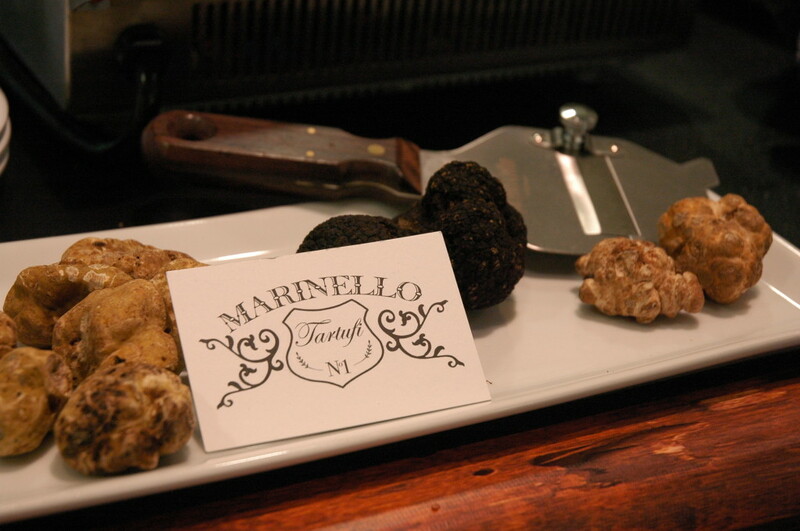 What inspired the concept for Social Table – and is it going the way you’ve planned (since your original NYC location)? 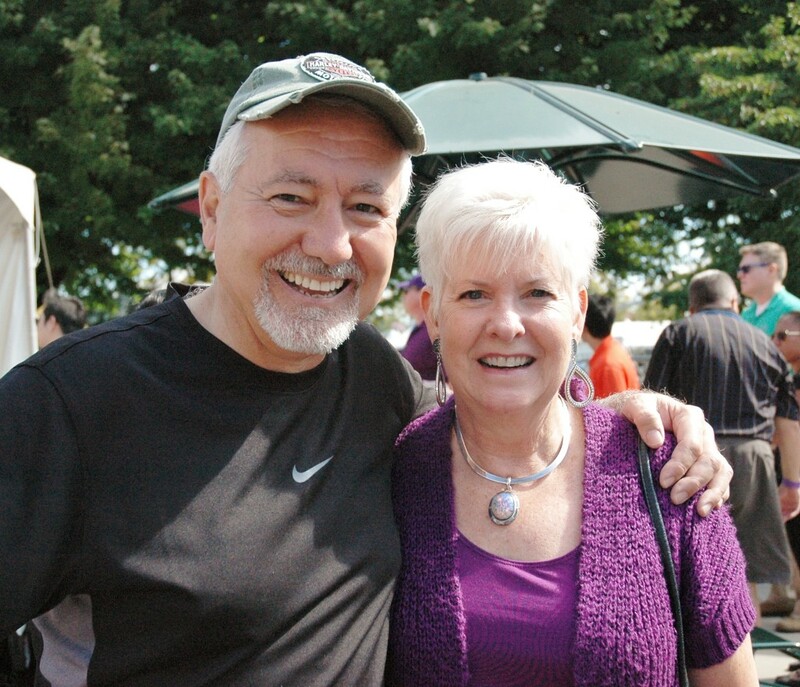 What social need(s) are you tapping into by bringing people together in this way? How does involving food and dining help? What kind of connections are made among guests – and any interesting stories to share? What are some of the other best ways to meet people in Chicago? 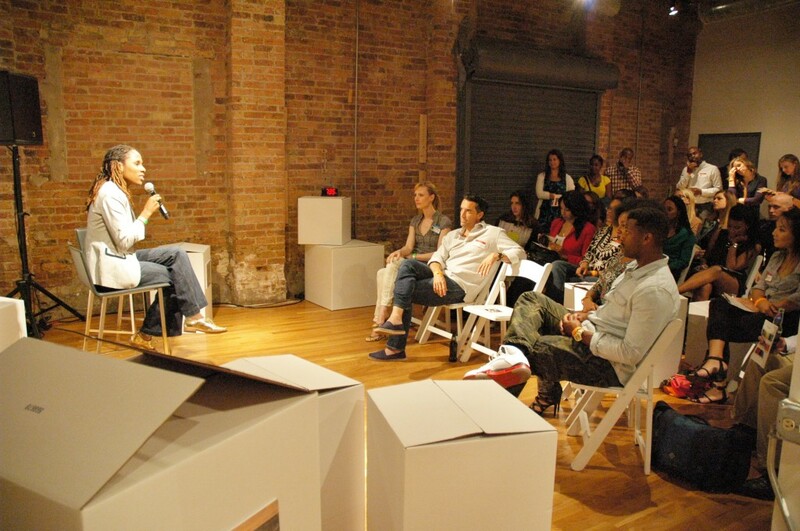 How can Chicagoans get involved, and what to expect from the recent launch? Thanks to Rebecca and much luck as she enters this new journey in Chicago! If you’d like to get in on the action, classes are typically $75 and last 3 hours. Find the sign-up calendar as well as much more information on The Social Table’s website. 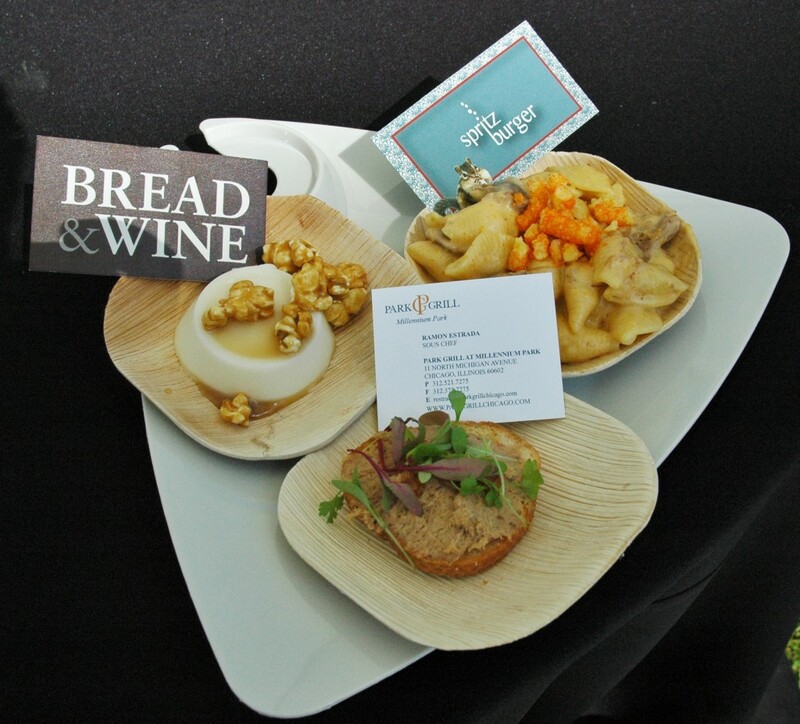 Check out Part 1 in our social dining feature, which highlights Dinner Lab. You know that feeling when you leave somewhere more motivated than when you went in? I had the opportunity to attend Glappitnova last week, and left feeling inspired, motivated and generally cooler for living in Chicago. Read up on Glappitnova in the article I wrote in June. Mingling amongst the fashionistas, start-up mavens, cultural personalities and many more, I absorbed what the festival had to offer. 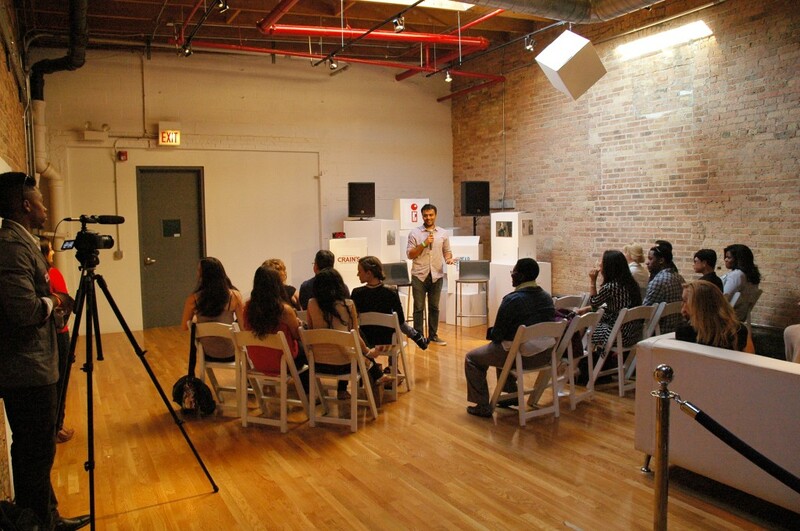 Held in Moonlight Studios in the West Loop, the event took over the studio with several rooms to showcase the talents of local speakers and performers. Guest stars such as the Bachelorette’s Frank Neuschaefer introduced speakers as they embarked on their 10 minutes of storytelling. 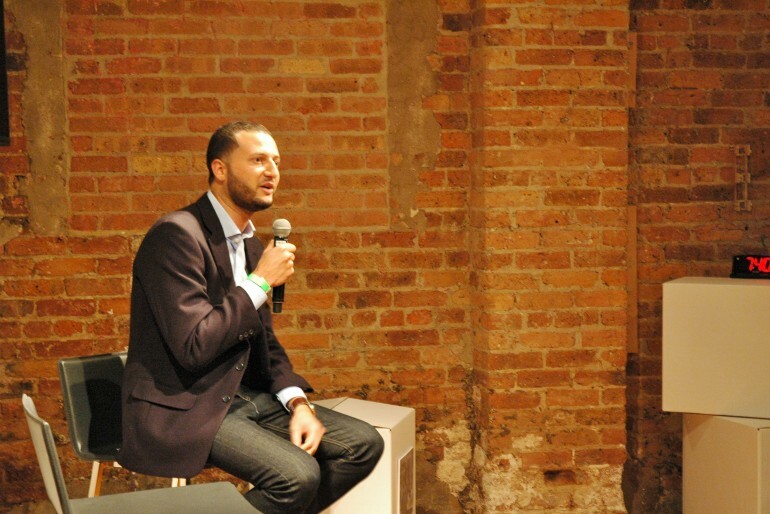 Hearing the lessons, the jokes, the inspiration and great tales through the night reminded me of how many unique personalities and talents there are in Chicago. 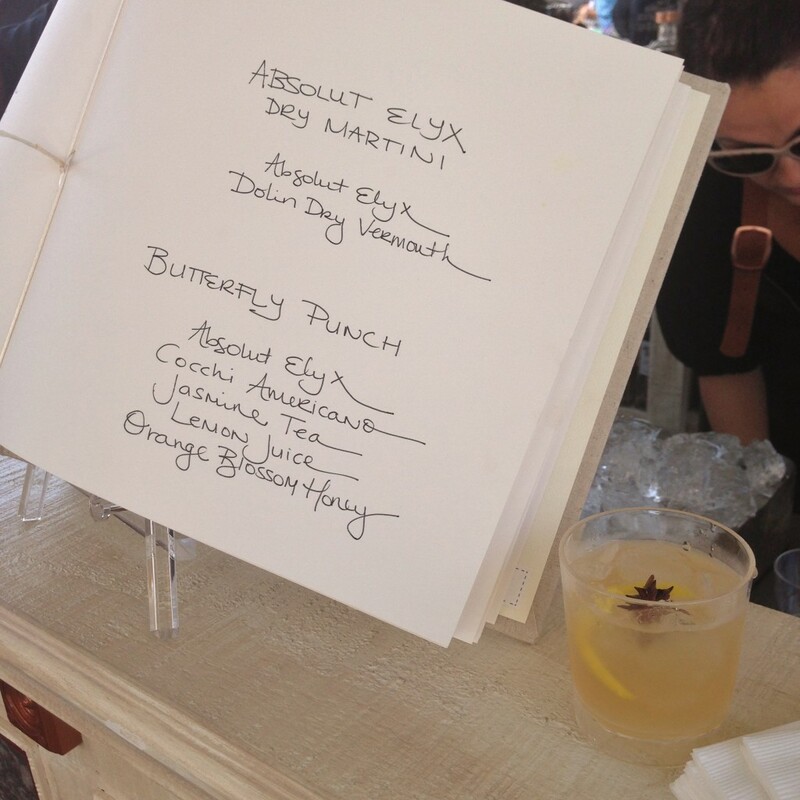 Stepping outside the bounds of your usual scene has its perks – new connections were made, drinks were had and dancing ensued. Following the speeches were performances by The Brothers StarRace, Lili K and Klassik. 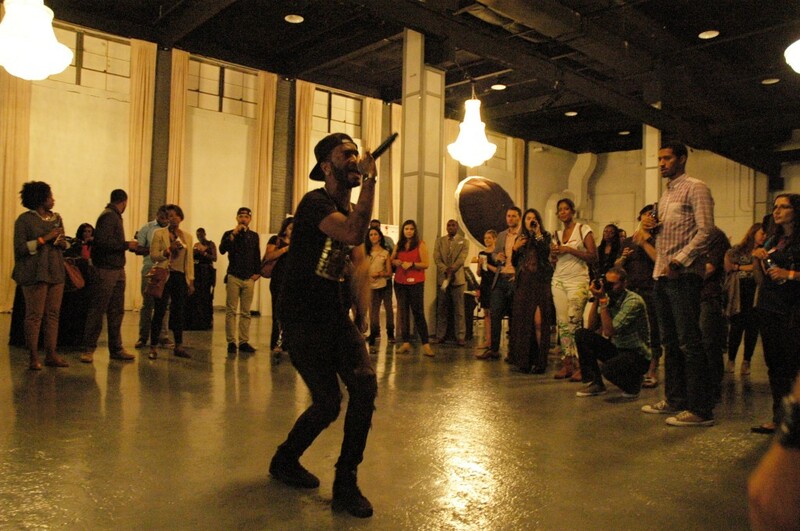 Klassik’s performance was both intimate and crowd-energizing. Stepping off the stage and onto the dance floor, he brought the crowd into a clapping, dancing circle around him. Great way to get the party going! Stay tuned for next year’s Glappitnova event, and learn more about the organization and how you can get involved at glappitnova.com. California has Interscope, New York has Def Jam, but what about Chicago? Throughout the years, Chicago’s lively vibes have fostered the growth of several highly talented artists (Vic Mensa and Krewella, anyone?) but we’ve never seen a major backbone behind it all. With all this high energy pumping out of Chi-town, all that’s missing is a unifier. And that’s where Maek comes in. Created by Jason Sizer and Tiffany Lee in 2011, Maek is a record label dedicated to predominantly electronic dance music (EDM) with a unique twist on indie pop and hip hop. But why is Maek making waves? Maek, unlike Def Jam, Interscope, Colombia Records, or any other label this country has seen, is completely free. Read it again: COMPLETELY FREE. So let’s get into it, shall we? Why sell people something they don’t have to buy? 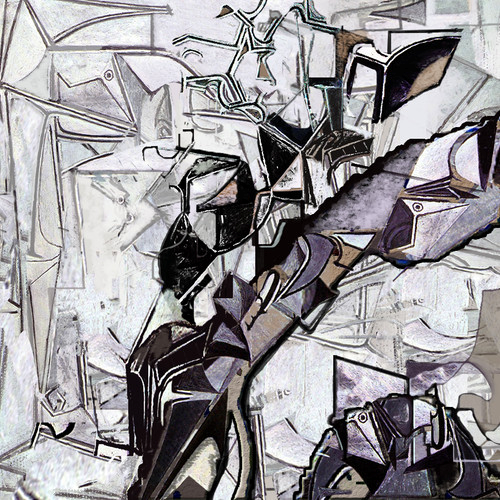 Jason Sizer (artistically known as Jason Maek) and Tiffany Lee realized that fighting the battle of free music just wasn’t working anymore; the model needed to be re-vamped. Jason’s long history in the music industry gave way for the long-time friends to create something they saw a need for. And what better place than Chicago? 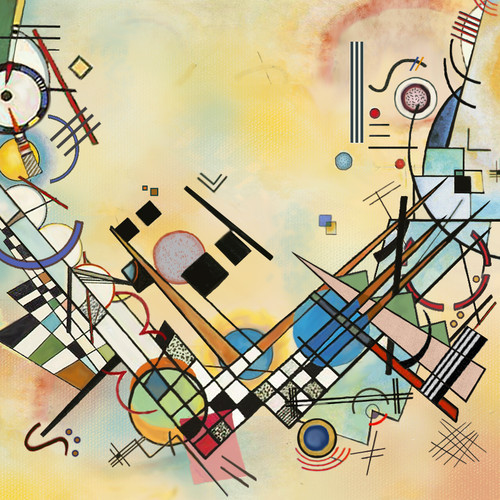 “Chicago has everything for someone who works in the arts,” says Sizer, and he’s absolutely right. Currently, there is no standard-setter for the music business in Chicago, but there is a 12% college population rate, many affluent neighborhoods, serious ethnic diversity, and an amazing arts and music culture. As the 3rd largest city in the US, Chicago has set the stage for Maek to reach the potential Sizer and Lee felt Maek had when it started as a small project, and the city is only proving them right. Maek’s premier artist, singer and songwriter Zaena, had quite a lot to say about Maek from an artistic standpoint. But what other goals does Maek have? So what exactly can Chicago expect from Maek? 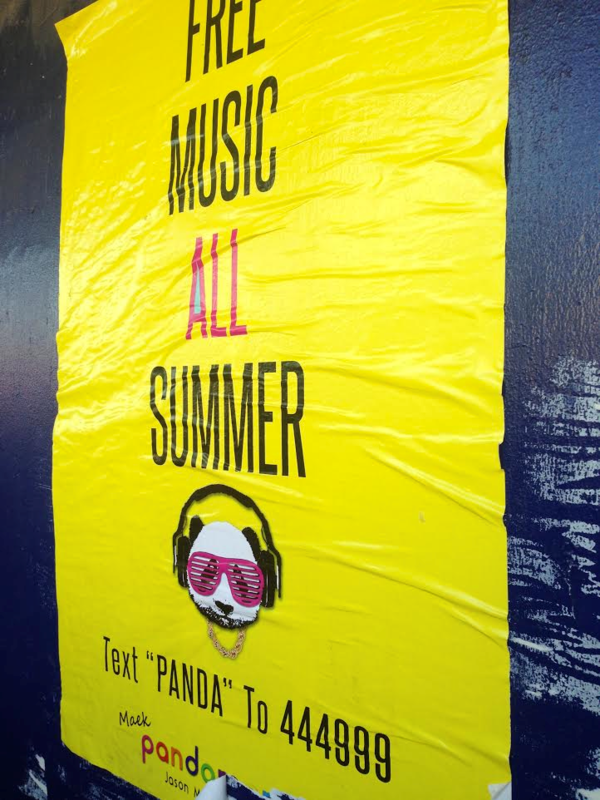 Maek’s debut project, Pandamonium, is a seventeen song collaborative LP from artists Jason Maek and Zaena with help from producers that have worked with artists like Lorde and Lana Del Rey. 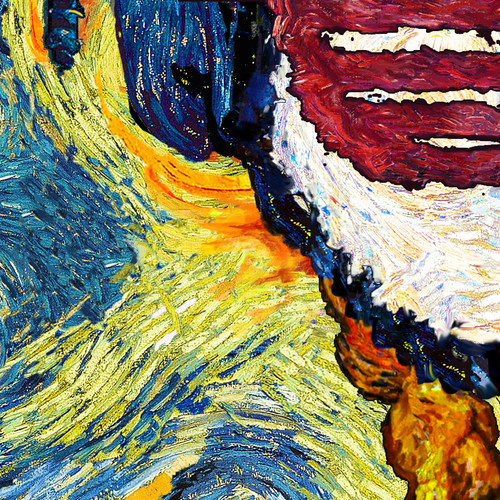 Every week during the summer until August 25th, Maek will release a song off the LP along with an art piece for each song (already released pieces featured throughout the article). 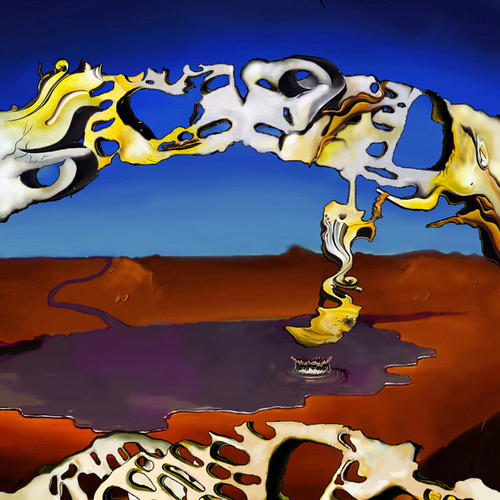 A visual album for Pandamonium, currently in production, is scheduled to release in September as well, with ideas of a graphic novel in the works. Maek directors also say to expect more visibility throughout the coming year as well as performance and tour dates and a noteworthy 1st year anniversary part in September. So, why should you tell everyone and their mom about what Maek is doing? To learn more about Maek and upcoming events, visit www.maekme.com and don’t forget to follow on Twitter (@maekmusic) Instagram (maek_music) Soundcloud (Maek Music) and Facebook (Maek)! Looking to get in shape for the summer? I have your answer: kickboxing. Even if you don’t live in the West Loop or Lincoln Park area I strongly suggest visiting TITLE Boxing Club for their “free shot” class. Be warned, you’ll be hooked. I consider myself to be someone who is in good shape and I workout several times a week, but one class at TITLE revealed all my fitness weaknesses. They are not joking when they say it’s the ultimate full body workout. 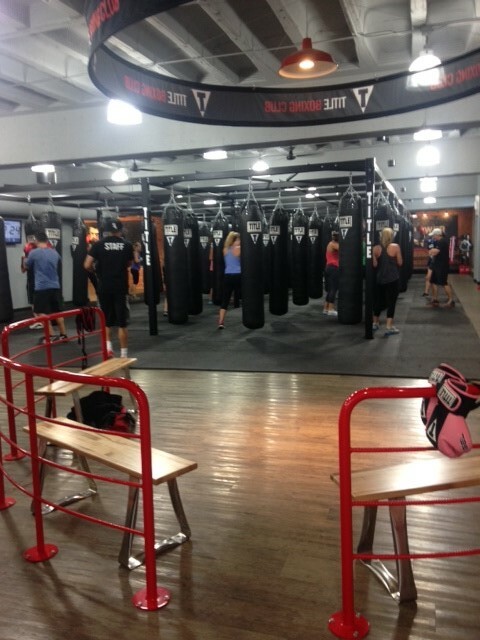 TITLE Boxing Club in Lincoln Park offers boxing and kickboxing classes and even personal trainers if you choose to design your own workout. There aren’t different levels of classes because they’re designed to cater to all fitness levels. 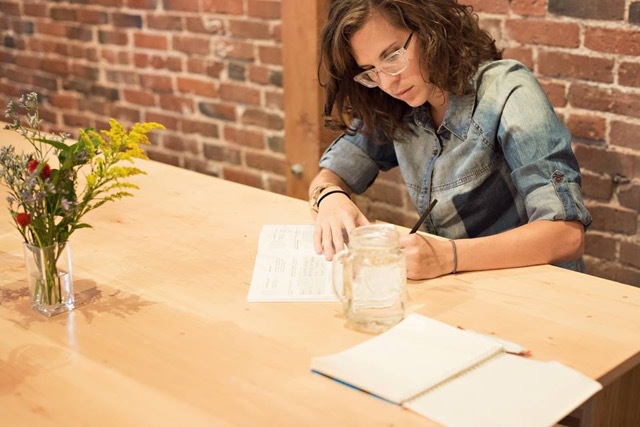 As a student on a limited college budget, I had little intention of signing up for a membership after the free class, but as soon as my free class was over I found myself doing my finances in my head to see if I could make it work. There are three different types of memberships, so give them a call if you’re interested or sign up online to check out the first free class. 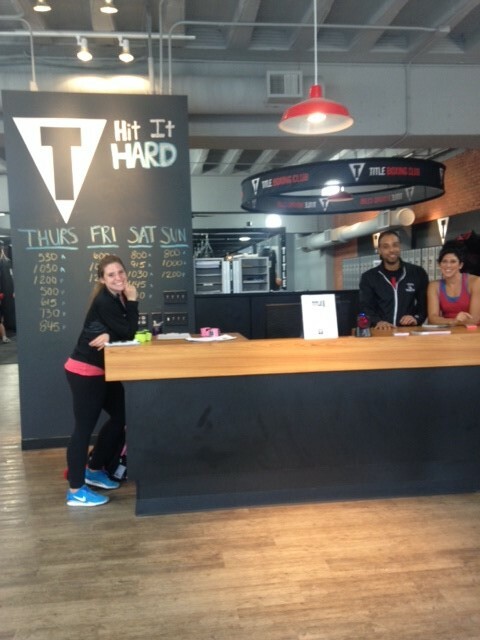 Unlike many other gyms, you do have to sign up for a membership instead of dropping in and paying by class. While this seems like a frustrating policy, they do it intentionally because you really can’t get the results you want if you randomly drop in. According to the trainers, if you commit to about 3 classes a week and consciously eat healthy, you will see results. Upon signing up for a membership they give you $130 worth of equipment up front like gloves, hand-wraps, a towel, and a drawstring bag. When I walked in to Title, I was warmly greeted and before I had time to look around and start to dread the workout, my hands were quickly wrapped and I was handed a pair of gloves. The first part of the hour was a warm up with jogging, sprinting, pushups, and many burpees. Then, I got to put on the gloves and hit the punching bags. I had such a great time taking swings at the bags I didn’t even realize the puddle of sweat underneath me when we started the core workout and then cool down. As an awesome trainer at the new TITLE Boxing Club, Katie shared with me her experience and why she believes kickboxing is the best workout. 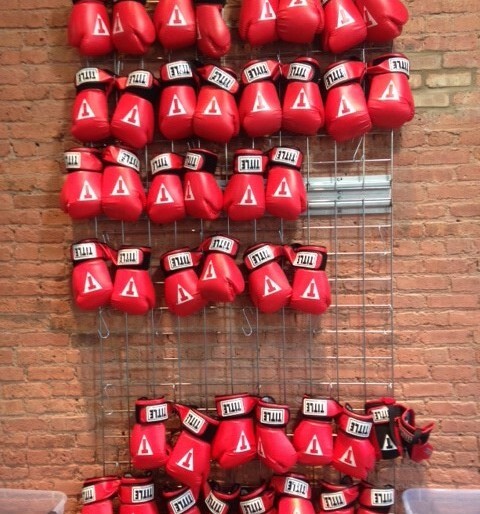 What kind of experience do you have with boxing or kickboxing? I have none. I’m a personal trainer and I had take it in the past it was looking for something new. I love it for two reasons; the intensity and the energy. It’s better than a cup of coffee, it really wakes you up! I completely believe in this method because as a trainer I do everything and my first time I could barely breathe! My stomach tightened and shrunk! What do you teach and how often? I teach eight classes a week teach a very wide variety. Every one of my classes is different and anyone can take them. Does this method really work? Yes. If you can take these classes a few times a week, it is the best way to get in shape. The classes are high intensity and a lot of cardio so the calorie burn is ridiculous. It is less how you fight and more about how your body works. Every time you take a class you feel better. What is your favorite food after a workout? I am a firm believer in eating clean and living a healthy life all around. I eat the Pest Chicken Bowl from Protein Bar. 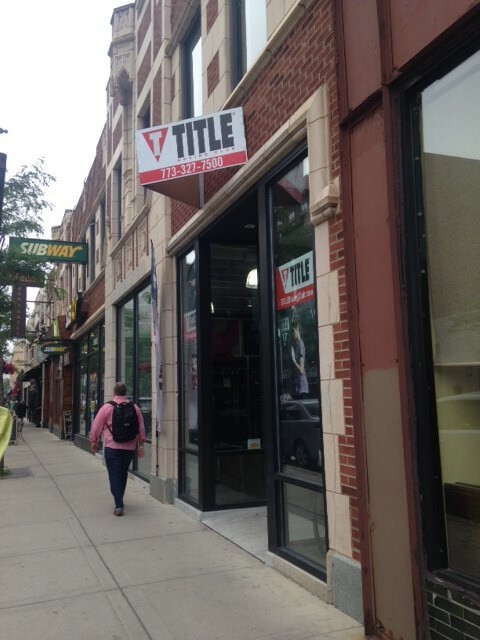 To learn more about TITLE Boxing Club, visit http://titleboxingclub.com or call the Lincoln Park Location at 773-312-4726.